Jacob Dutton (born c. 1976), better known as Jake One, is an American hip hop record producer from Seattle, Washington. Dutton grew up in Capitol Hill and moved to the North End of Seattle when he was 15. He started making music on a Casio keyboard in 1992. He attended the University of Washington and gave a tape of his music to a friend who worked in a local record store. One of the store's other employees, the DJ Mr.
Dutton grew up in Capitol Hill and moved to the North End of Seattle when he was 15. He started making music on a Casio keyboard in 1992. He attended the University of Washington and gave a tape of his music to a friend who worked in a local record store. One of the store's other employees, the DJ Mr. Supreme heard the tape, and when he set up his Conception Records label, he used Dutton to create backing tracks. The first record he produced was Eclipse's World Premier. His early influences included Pete Rock, DJ Premier, and Marley Marl. Dutton has worked with local artists as well as major names from further afield. He has produced tracks by artists such as De La Soul, Strange Fruit Project, Prozack Turner, MF DOOM, E-40, John Cena, Planet Asia, Nas, and 50 Cent. He is part of the G-Unit production team, The Money Management Group. 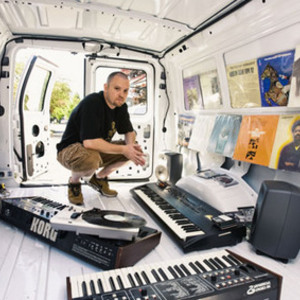 His first album credited to Jake One, White Van Music, was released in October 2008 on Rhymesayers Entertainment, and featured contributions from Brother Ali, Young Buck, De La Soul, M.O.P., Freeway, MF DOOM, and E-40. He has had tracks included on the soundtracks to films such as Get Rich or Die Tryin' (50 Cent's I Don't Know Officer), The Fast and the Furious: Tokyo Drift ("Jake Alert"), and Gone Baby Gone.